Potatoes and Diabetes: Can You Eat Them? 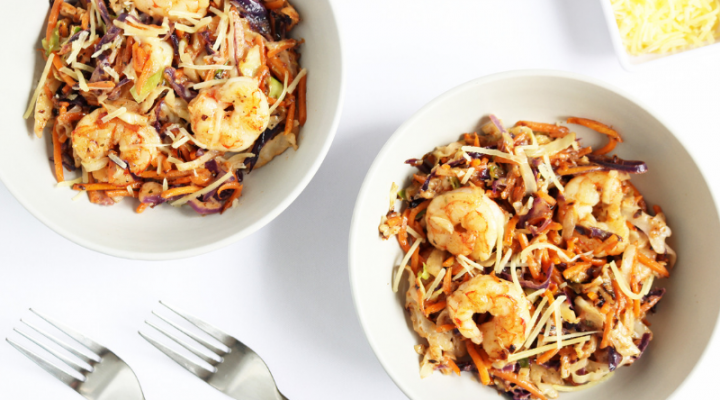 Some say “po-tay-to” some say “po-tat-o” but we say “too high in carbs!” and recommend that you skip these starchy veggies altogether. Potatoes may be considered to be “vegetables” in a culinary sense but they're not so diabetes-friendly in the end. If this puzzles you like it does so many others, keep on reading to get the facts. Potatoes are a staple of many people’s diets and can be eaten in a myriad of ways. There are actually over 200 varieties of potatoes, so the possibilities are quite endless. But time and time again the question is always: are potatoes a good choice for someone with diabetes? 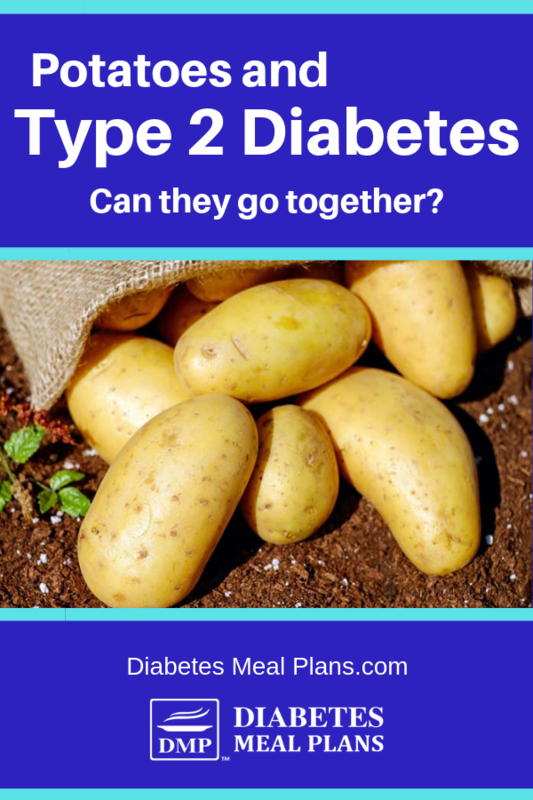 You may be wondering if potatoes count as a vegetable or a starch, and you may even be confused by all the “diabetes-friendly” recipes that contain potatoes. Let it be known that while potatoes may agriculturally be a vegetable (since they are grown underground) they are nutritionally similar to any other starch. Potatoes are considered a starchy vegetable and that means potatoes are chock full of carbohydrates that raise blood sugar and don’t contain nearly as much fiber as other vegetables. 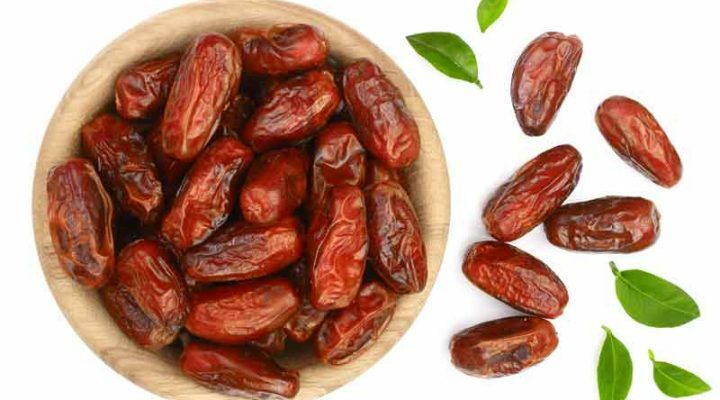 Quite simply, they are a high carbohydrate food, and they are also high glycemic index as well, meaning they cause rapid rises in blood sugar. We encourage you to eat plenty of non-starchy vegetables such as spinach, broccoli, and summer squash, which contain lots of fiber, vitamins, and antioxidants and very little carbohydrates. So let's briefly explore some potato nutrition facts and then share some potato alternatives you can test out in your own kitchen. A medium potato contains approximately 163 calories and 33-37 grams of carbohydrates. That’s about half of your daily recommended intake of carbs according to our research. If eating the skin of your medium potato, you will eat about 4.7 grams of fiber and 4.3 grams of protein. This is not nearly enough fiber to prevent a large blood sugar spike after a potato. For reference, a half cup scoop of mashed potatoes contains 90 calories and 19 grams of carbs. This may not seem outrageous, but most people eat a lot more than one serving of mashed potatoes in a meal. Next, you also have to consider the glycemic index (GI) of a potato–depending on the type of potato the GI ranges from 60 right up to 95. Anything below 55 is considered a low GI, and the higher it gets over 55, the more rapidly it is going to send your blood sugar soaring. Even 60 is a high GI, and 95, well that's crazy high! So, unfortunately, eating potatoes is not going to help you lower blood sugar or A1C and keep things under control. Sorry to be the bearer of the bad news if you didn't know this already. But there are some tasty alternatives. Sure, there's nothing quite like a real potato, but we can adapt and use other things…and this is where cauliflower will come in to steal the show (keep reading for a few awesome alternative recipes)! Let's check out the nutritional differences between a few different types of potatoes. Are they all high carb? Most potatoes such as russet, white, red, Yukon gold, sweet and even purple potatoes contain the same number of carbs. They also contain similar proportions of the vitamins and minerals named above. So no matter which way you mix and match them, pretty much all potatoes are a no-go if you're trying to gain better blood sugar control. For reference, 100 grams is approximately half of a medium potato, but will vary based on variety. Myth: Sweet potatoes are healthier than white potatoes. Truth: Looking at the chart above it’s clear sweet potatoes are just like any other variety of potatoes. The only slight advantage of sweet potatoes would be the additional antioxidant and phytochemicals present due to the sweet potatoes bright orange flesh. Antioxidants such as carotene are found in orange fruits and vegetables and provide anti-inflammatory properties that can help reduce disease risk. However, you can easily increase your carotene intake by eating other orange vegetables such as carrots and tomatoes, which won’t impact your blood sugar as much as a sweet potato. Myth: Potatoes contain resistant starch, which won’t impact my blood sugar as much as other carbohydrates. Truth: Resistant starch is simply a type of carb similar to fiber. In theory resistant starch isn’t digested by your body (like fiber) and therefore won’t raise your blood sugar as much as other carbs. Potatoes have a higher proportion of resistant starch compared to other carb containing foods. The problem is that this logic of resistant starch is flawed, similar to the flaws found with the net carb counting method. 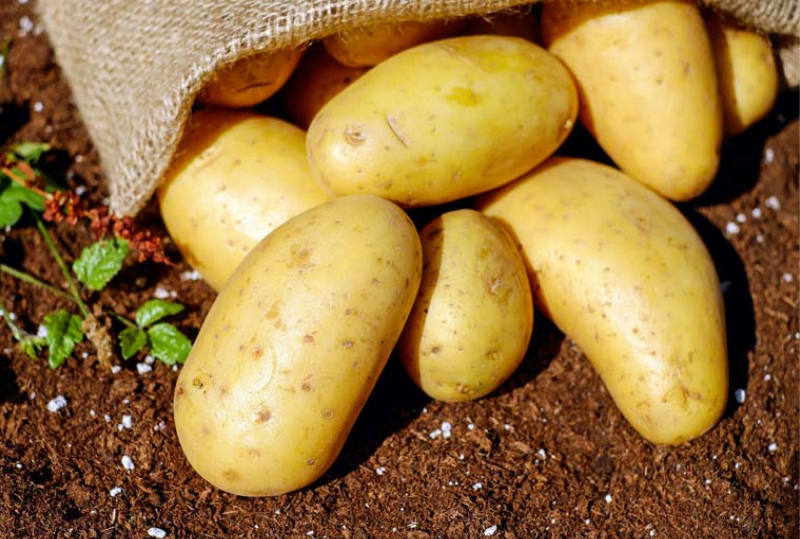 First, the amount of resistant starch found in a medium potato is about 9 grams, which still leaves around 28 grams of fully digestible carbohydrate available to spike your blood sugar. Resistant starch in and of itself offers health benefits such as improved glycemic control, but in order to eat enough resistant starch (from potatoes, rice, and unripened bananas) you would end up eating an outrageous amount of carbohydrate. Research demonstrates a low carbohydrate diet is one of the most effective ways to improve blood sugar levels. Don’t get caught in the resistant starch confusion. Plan to get your fiber from non-starchy vegetables, nuts, and seeds which will still allow you to keep overall carb intake low. A small study compared the impact 50 grams carbohydrate portion of potatoes versus bread versus pasta had on participant’s blood sugar levels. While clearly none of the foods tested are particularly blood sugar friendly, it’s interesting to note that the potatoes resulted in the most significant rise at the 2 hour mark. Another interesting study found that when healthy individuals consumed mashed potatoes alone, the hunger hormone ghrelin increased (more hunger.) When participants consumed fat alone the hunger hormone ghrelin decreased (less hunger) as would be expected. Just as time and time again research indicates that replacing carbohydrates with healthy fat sources improves measures of glycemic control. Although a much older study, the American Diabetes Association has an interesting study published concerning the ingestion of sugar versus cooked potatoes. Participants were given 50 grams of glucose (pure sugar) and then at a later time given 250 grams of potatoes (equivalent to 50 grams of carbs). Researchers found the pure sugar had nearly the same impact on blood sugar levels as the potatoes – 8.8 mmol/L (158.4 mg/dl) versus 8.0 mmol/L (144 mg/dl). This reiterates the fact that your body responds to all carbohydrates in the same manner, and that people looking to improve their blood sugar need to be mindful of all carbohydrate intake. Research has also suggested that increased consumption of potatoes, especially french fries, leads to an increased risk of developing type 2 diabetes. Being that potatoes are a staple for so many people, it can be difficult to give them up. We have found that cauliflower makes a great substitution for many potato dishes. Like potatoes, cauliflower does not have much of a taste and can really showcase any flavors you add to the dish. 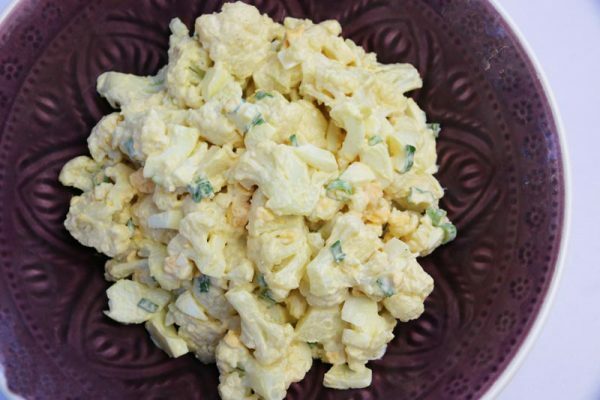 You may be familiar with cauliflower mashed potatoes, but did you know cauliflower can be used to make a low carb “potato” salad or a Low Carb Cheesy “Potato” Bake. Alternatively, if you’re looking for a substitution for roasted potatoes you can try other root vegetables such as turnips or celeriac (in moderation) which will hold up nicely in the oven. If you’re out at a restaurant make sure to check if your meal comes with a side of fries or mashed potatoes as is often the default. Most restaurants should be able to offer you a side salad or green vegetable in place of the potatoes. 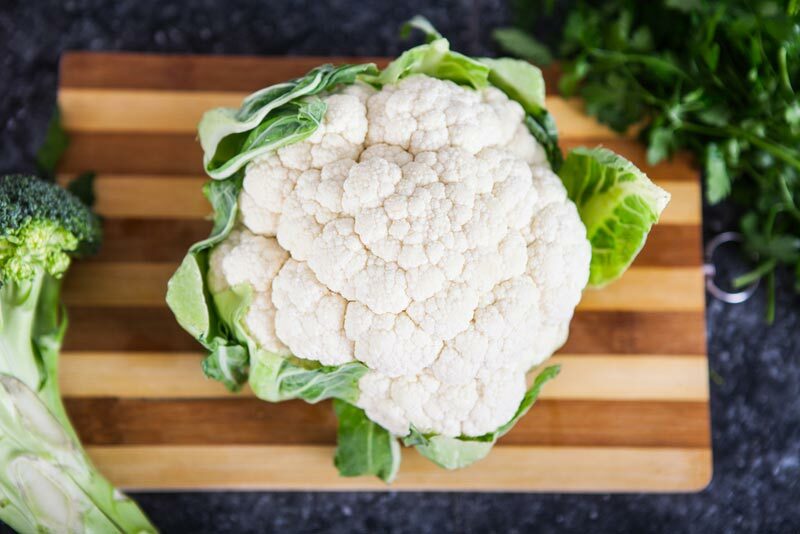 And now for the star of the show…the cauliflower! Making ‘cauliflower' mashed potato is just like making the real thing, and depending on what you eat it with, you won't even know the difference. For regular mashed potato, you're looking at around 35 g net carbs. Our Cauli Mash comes in at just 5 g. Now that's a big difference! Put the roughly chopped cauliflower into a saucepan and cover with water. Bring to the boil and then turn down the heat to a simmer and cook for approximately 7 minutes or until the cauliflower is soft when poked with a fork. Remove from the heat and strain in a colander. Place back in the saucepan, then mash it up, and a bit of butter and a little salt and pepper to season. 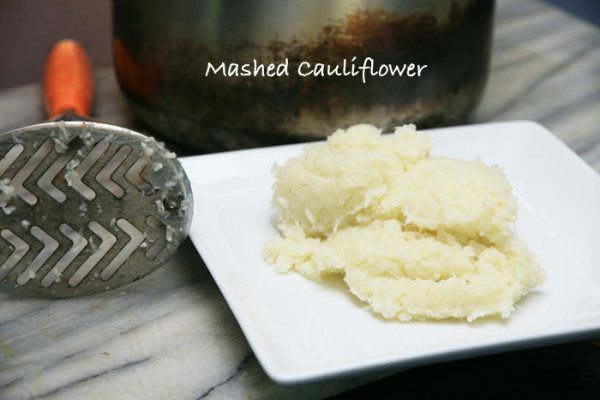 Add some pepper or spices to the mashed cauliflower for different flavors. Dairy lovers – Add some grated cheese for a cheesy mash. Will keep in the fridge in a container for up to 3 days. It will smell strange when it’s no good and taste tangy too. To add a twist to your cauli mash, mix in some grated cheddar cheese, some herbs, or sour cream. There are lots of ways you can give it a twist to make it taste different. Other things you can mash include celeriac, small portions of pumpkin or squash – trying blending it with the mashed cauliflower. More favorites on the menu include ‘potato' salad, ‘potato' bake, chicken asparagus, ‘potato' layer bake – oh yes, there are loads of ways to use cauliflower as a potato substitute. In regular potato salad you'll find around 25 g carbs per serve. Our Cauli Potato Salad has just 9 g per large serving! Cauliflower, it makes the perfect potato substitute. If you serve this "potato" salad to your family or guests, they won't know the difference. Or, if they do, they'll love it just as much anyway. 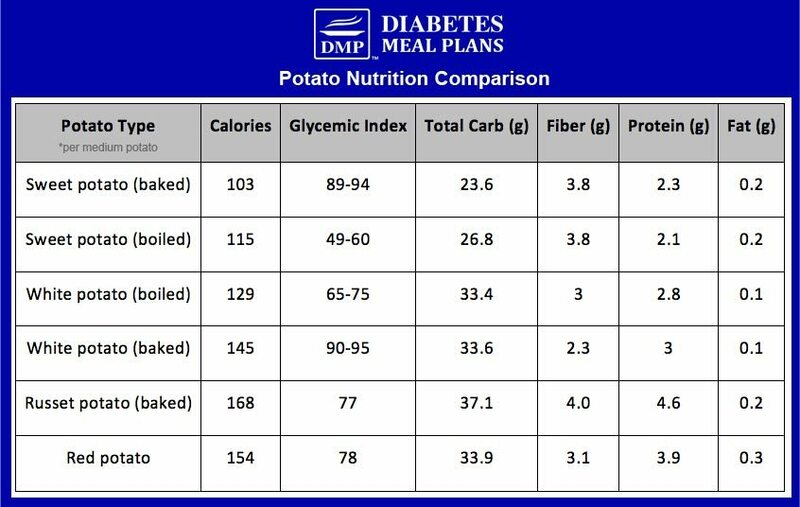 I think we’ve made our point clear when we say potatoes are not a good choice for someone looking to lower their blood sugar and A1c. Regardless of what variety you choose, potatoes are clearly chock-full of carbs. Use the tips above to ditch the potatoes and try some other non-starchy veggies in their place. These non-starchy vegetables will give you all the fiber, vitamins, and minerals that you need without the unwanted carbohydrate. 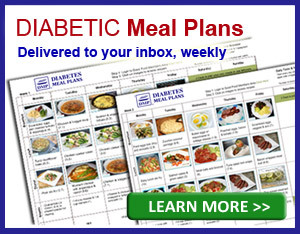 along with detailed food lists, meal plans and more. I like cauliflower for it’s own sake. If I use it as a sub for potatoes, i cannot pretend it is potatoes as I can still tell it is not. However, if I think of it as another way to enjoy cauliflower, I’m happy with the taste. I know a few people like that Debi! Either way its a great one to include often. I read through it all. Thank you for clarifying so many things. This is quite educative especially cos i have type 2 diabetes. I have always thought and been told that sweet potatoes definitely the best option but now i know better. Am becoming a cauliflower fan. It is a great substitute for rice, potato and the creating the base of your home made pizza #drericberg. I have tried cauliflower “rice” & “potatoes. They just don’t work for me. The texture & flavor still is cauliflower. I’m great with it in a dish as itself , but just can’t get it to fulfill the potato/rice slot. Am I doing something wrong in my prep of cauliflower or must I accept that those two carbs are out of my life except for the rare, occasional cheat since I haven’t found a substitute that is satisfactory to me. Not sure Judith, maybe they just don’t work for you. Most people love the sub. 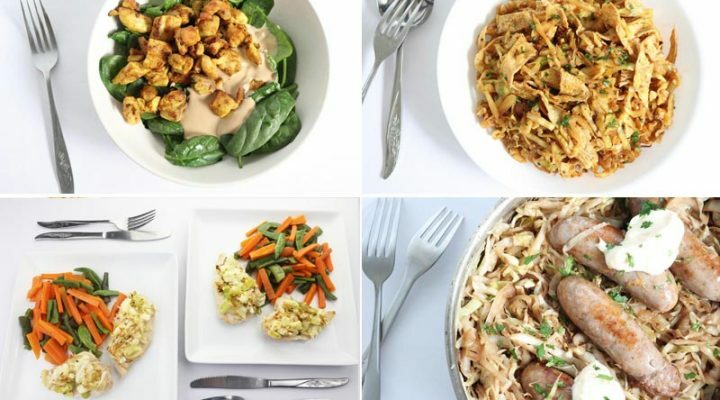 Brilliant ideas for both rice and potato alternatives – very imaginative !!! – i’m Definitely going to give them a go and see what the family think. Good to hear Raj. Hope you enjoy them! You can read more about healthy blood sugar ranges here. 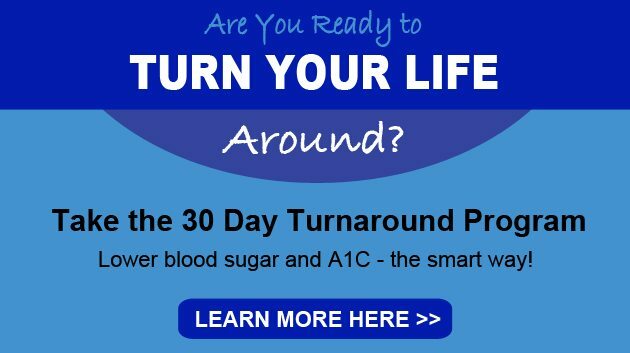 You might also find these 8 blood sugar questions helpful.